When it comes to health and safety in the workplace, we tend to think more about hazards and dangers than many of the everyday health issues. We worry about chemicals in engine cleaning solvents, for example, or how hygienically clean the washroom is, but what about those fits of sneezing brought on by allergies? Allergies are common-place, and usually have only a very temporary impact on our health, but they certainly affect our comfort levels at work. Limiting allergies, and their effects, can improve the situation considerably – increasing productivity as well as workplace satisfaction. Of course, knowing how to go about that is the secret. Much of it comes down to the level of cleanliness at your desk or in your work area, while making simple changes like the soap in restroom soap dispensers, introducing a more hygienic hand drying method, or switching to a non-solvent parts washer can make a huge difference. If you are the employee, the first step is to make your boss aware of the situation; and if you’re the boss, it would be a good idea to consult your staff. After all, the advantages of a happy workforce far outweigh the minor effort the steps might require. Typically, allergies are caused by the body’s immune system reacting to relatively harmless substances. Some of the best-known triggers are dust mites, mould spores, pollen, animal skin and hair, and even animal urine and feces. Chemicals and food types can also be the source. Reactions range from hives to rashes, and nausea to respiratory problems (like an asthma attack), with levels of severity ranging from general discomfort to life threatening. But what can you do? We look at three common varieties of workplace and recommend what might be done. 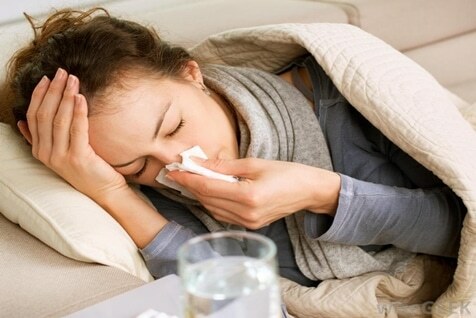 Usually, allergens associated with an office are air-borne. Paper stacks usually result in high dust levels, dust mites and spores, while a dirty air conditioner or ventilation system may also be the cause. Meanwhile, products used to clean restrooms or the consumables stocked in soap dispensers, hand sanitisers or even paper towel dispensers, might be a source of skin irritation. Have the ventilation system cleaned, or replaced if it is an old system. Keep your desk clean and tidy. Don’t give mites and spores a place to reside. Make sure paper is put away, not stacked in the open. Think about installing an air purifier, or more effective air conditioner. Consider more hygienic hand drying systems in the restroom (like a closed roller cloth towel dispenser), using pH neutral hand soaps and sanitisers, and non-chemical based cleaning products. This kind of workplace is usually cleaned less regularly, since the area is designed to stock boxes and crates of various sizes. There can be hidden areas behind shelves that are rarely cleaned where unwanted pests can scurry around, can have poor ventilation (especially in bad weather) and high dust levels due to items being lifted, replaced and carried by staff and machinery. Ensure warehouse cleaning is thorough, getting behind shelves and into every corner. Improve ventilation levels by keeping skylights, windows and doors open as much as possible. Again, the air system may need to be improved or changed. Remove the clutter, even if they are old drums or boxes – dispose of them sensibly. Ask your workmates or staff to smoke in designated areas only. Again, consider making restroom changes. Possibly the hardest workplace to keep hygienic, mechanics are constantly dealing with dirt, grit and grease because of the parts and engine cleaning that is done. But there is no reason why acceptable levels of cleanliness can not be achieved. Chemicals, oils etc can cause skin conditions, like dermatitis, while clutter and unkept corners are loved by rodents. A mixture of odours and vapours can irritate eyes, skin and the lungs. Ventilation is hugely important so make sure it is sufficient. Keep lids on cleaning substances, oil drums etc and store them away from the general working area. Consider getting a chemical-free parts washer, like the EcoSafe Washer from Alsco. Alkaline water-based cleaning substances are proven to be better for workers and the environment alike. Make sure face masks, and other personal protection items are worn when necessary. Introduce strict and eco-friendly clean-up process to deal with spills and waste. A clean office will benefit both employees and customers; this will give everyone a very good impression. Our Dust Control & Floor Protection Mats, Wet Area Mats, Anti-Fatigue Mats, Personal Mats, Message Mats and the Eco Mat – made from recycled eco-friendly materials – help reduce dust in your workplace. Just imagine how beneficial this will be. Only one thing to do, just call Alsco and we’ll be happy to serve you.